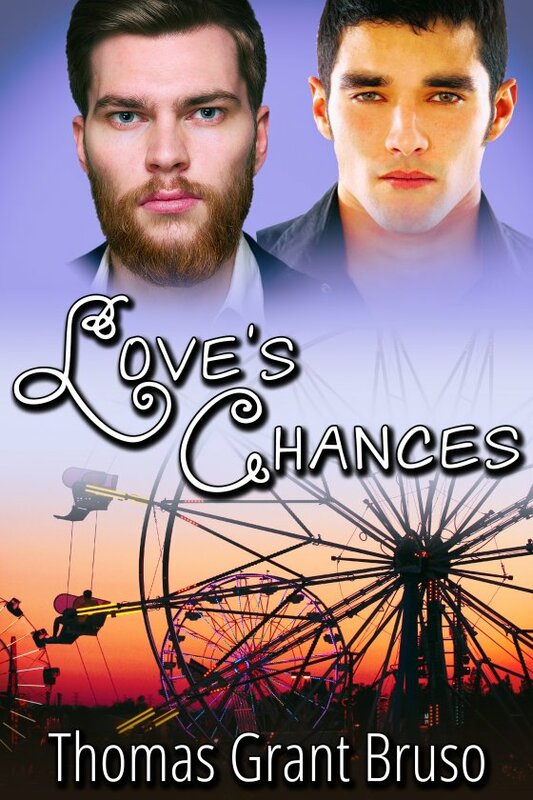 Love’s Chances by Thomas Grant Bruso is now available! “I need to get over my fears,” I told Devon. “I think that’s been accomplished tonight.” He took his hand away from my damp neck. His palms were sticky from the humidity and melting snow cone. “I’m glad you came,” he said. “Which is where?” he asked. “I also buy my own groceries,” I said. “I do leave my apartment once in a while,” I said. He slid his sinewy, hairy arm around my slumped shoulder, the hot, drifting scent of his masculinity blasting my senses. “You’re different than other guys,” he said. “I sound like a big weirdo, right?” he said. “I’ll be quiet now.” He turned to me and smiled broadly, a web of fine laugh lines crinkling the corners of his eyes. “No. No. I’m just trying to understand what brought us here,” I said.